I had a small heart attack at my first firewalk. Even after hours of chanting and talking and thinking about what was to come next, I wasn’t ready for the fire. After carefully making my way over a pointy but cool walkway of innocuous rocks in bare feet, the 7-foot raging fire met me like a dancing threat. It whispered I dare you. And something tiny and very young within me answered, no way. Somehow it was worse when I came back inside, and the teacher explained that she wanted us to meet the fire before it died down. She wanted us to fully comprehend what it was that we would walk on. I barely heard her over the thunder of the thought; I will have nothing to do with those flames. This idea became the soundtrack of the firewalk – joined by the percussion of a heart that beat painfully hard, the sound of a Nile’s worth of sweat pooling all over the body, and a frantic tongue searching a mouth that had gone completely dry. Underneath this wave of terror, I had a moment of recognition. I’ve felt this way before. No, it was more than that – I’ve felt this all my life. I live with an intricate, self-generating latticework of thoughts as if my brain is a mechanical spider weaving an unending mechanism of recognition and association. It spins thoughts quicker than lightning through nerves – “I recognize this, it reminds of this other thing…” – and then a feeling, a feeling of whatever I felt the last time I encountered “the other thing.” Previously, all associations trended toward fear and despair. I named this web anxiety and depression and left it at that. It so happened that day that the web was nameless. Previous to that first firewalk, I had been using Shamanism to train my spider. I recognized the uncomfortable feeling as panic but also as an abundance of energy – like when I allow myself to take a risk. I asked myself how have I successfully handled an abundance of energy recently? Rather than think about it, I noticed I was already moving. Bobbing. Then jumping. Then dancing. Getting bigger. Even though the fire had died down when we circled the glowing coals, in my memory it lived as a dancing dragon. I no longer cared about words for things because I danced with this dragon. I danced over the hot coals this way. The trial is the conversation between us and the threat. We whisper back and forth with our beings. To have this conversation, there needs to be space. I worked with the spread for 21 days. Long enough to hear the whisper of the cards and let the Hanged One be my teacher. Long enough to dance with Trial. There are two options with this card: the trial happens to us, and we fall victim or, using our awareness, we are active participants. We all know what it feels like when the trial happens to us. As depicted in the Margarete Petersen version of this card, we string ourselves up and are hung, both at the same time. We believe we should be a certain way and we’re not. We should be able to do something and we can’t. Something should be happening, and it isn’t. Or maybe our creations need to be perfect. We react to discomfort by comparing ourselves, and we feel unworthy. This is the trial. External circumstances may supply us with stimulus or discomfort. But even in the case of a real-world ordeal, our thoughts are the trial. We have the potential to suffer long after a real-world ordeal. Sometimes people supply the uncomfortable ideas for us, and we choose to buy into them. There will always be trials – even ones where we are not at choice about opting in. In those cases, we are still at choice for how we opt in, as long as we notice. The last time I pulled the Hanged One, it was face up to represent mental illness as an ongoing relationship with beliefs, brain chemistry, and my body. Face up, where I choose what meaning to make of my circumstances and also where to focus my attention. Focused attention allows for more options when dealing with an abundance of discomfort or energy. There are plenty of times when this comes in handy – for the highly sensitive, highly intelligent, anxious, empathic, when dealing with chronic anything, or living with other non-normative narratives. In the Hanged One, the figure is acted on by forces: gravity, bound, crucified, possibly hanging on death’s door. In this situation what is the Hanged One doing? Usually very consciously positioning their hands, feet, and head – the few things they still control. They aren’t looking down at the earth below, at what they’ve lost. Instead, they look out of the card at a world beyond their own, at us the seekers. The Hanged One sees beyond current experience, using their consciousness to transcend the trap of reality. This card suggests that we honor and accept our process and our reality. It seems to ask: How can we accept imperfection? By hanging on the inside. By being willing to experience discomfort. Allowing space for the discomfort that is reality. We hear this interpretation of the Hanged One all the time, but what are we supposed to DO with this? 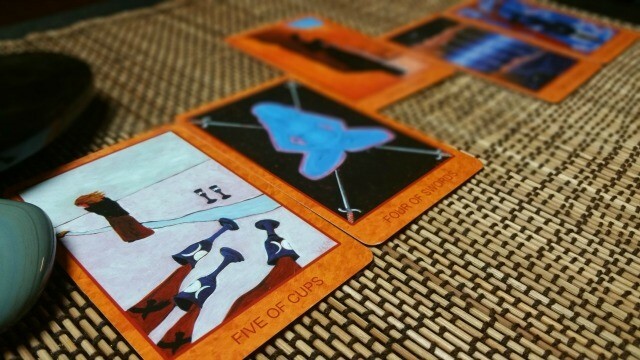 A year ago I looked to the symbolism in the card for answers. The body and its position are central to the Hanged One. This card recommends we notice the body. It knows what to do. How to rest or grieve. When to rebel or get gone. How to get bigger. The brain doesn’t always know what to do. And we don’t always do what we need, even when we know how. So one of the keys to leaving a passive role and becoming active is to notice what happens when we experience trial. Noticing. That’s all. Nothing needs fixing or doing. It can feel great to speak what we notice, and it’s not required. Notice for a day, a week, a lunar cycle. Notice what’s in your head: What do you think from day to day? What do you believe? Any patterns? Do you have systems in place that help you notice your thoughts? Daily journaling or daily drawing? Meditation? Notice your hand: What do you do from day to day? Especially what are your everyday habits? Any patterns? Do you choose activities or just fall into them? How do you feel when you do what you do? Notice your feet: How do you ground from day to day? Any patterns? Do you already know what calms you? What makes you feel whole? Are there places, activities, or people that help you notice? How might you use this day to day? I geeked out a bit and created a worksheet that you can use if you’re into that sort of thing. You can print it out or fill it out online. Here’s a copy. You might also write a journal entry by hand with headings and space for you to write what you notice. You might draw pictures. If I had to do this over again, I might track it electronically during my daily writing practice. I use a site called 750words.com because you can go back and see things like word usage and mood. The site claims it can graph your information. I’ve yet to figure out how to make it work. But I keep it in mind because I like graphs and worksheets. I’m not one of these spreadsheet sorts. But you might be! Track things however you will. For bonus points, track these categories while trying something that stretches your comfort zone, while embarking on a consciously chosen trial. More bonus points if you fill out the worksheet I created while in altered headspace, such as ritual trance or hypnotic state. Let your subconscious weigh in. 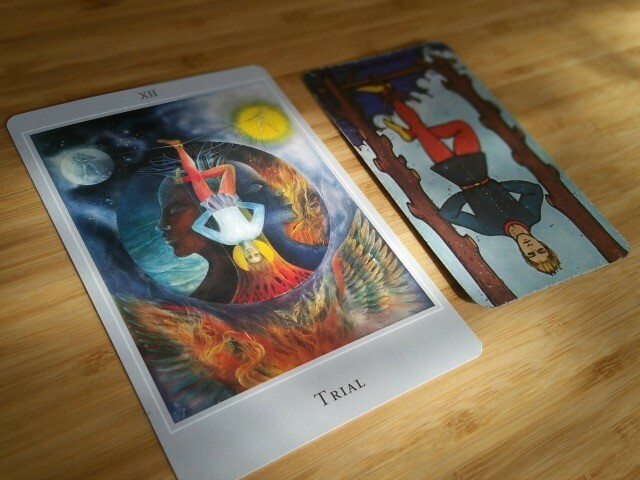 You might also do a tarot pull for each of the categories, face up or down. Possibilities just might be endless. Notice for a day, a week, month, or 10 minutes while you wait for a dentist appointment. After doing this every day for a week or so, you notice trends. You might have challenge categories – things that are hard to see or non-existent. Maybe you don’t know what you think. Or you don’t ground. That’s normal. I still struggle with this, and I’m not alone. You are not alone. You might want to experiment and try things that address these challenged categories. Brainstorm ways to track things, more things to do, ways to ground. Or don’t, and keep noticing. Awareness is everything. Even if nothing changes noticing is enough. You are enough. Notice your trial. Honor your process whatever it looks like. Thoughts about working with a trial? Want to let me know how the worksheet went? Use #difficultcards to converse or comment below. Sign up for my list where I geek out about consciousness tools. 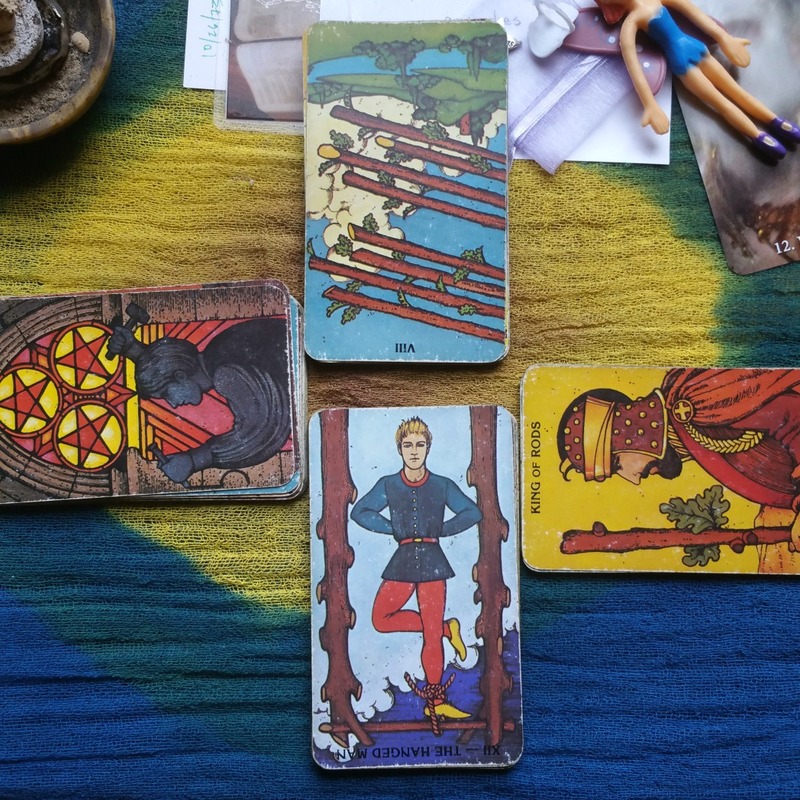 Siobhan (she/they) is a NYC-born writer, spiritual ally, and #radicaltarot reader living in central Texas. 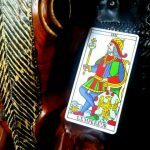 Her facilitative reading style is the blended result of over a decade of study of tarot, nonviolent communication, shamanic ritual, sacred sexuality, and alternative relationship. She geeks all those things in her newsletter and blog. 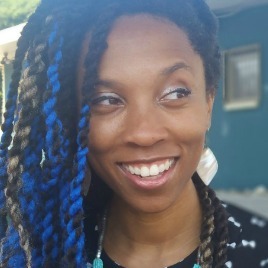 She is also the creator of “The ‘Scopes,” the first-ever monthly collaborative tarotscopes which have featured over 40 professional tarot readers in the last three years. 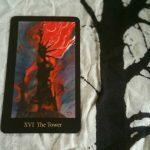 Read your tarotscopes or join her membership site at radicaltarot.com. Sign up for her newsletter to learn more. Particle versus wave. Bludgeon versus rebellion. Siobhan reveals how the guarded Emperor is prepping us for transformation. An introduction to looking at difficult cards, along with when and how to turn to ash. You know those lines you read where it just really hits you as greatly profound and you just need to sit back and process everything? “Trial is the conversation between us and the threat,” is that line for me here. This is such a well spoken post and said a lot of things that honestly I needed to hear. Thank you so much for this, I’m excited to see what you write in the future! ::smilingatthis:: Glad it was timely for you Danielle! It was timely for me too since I realized after writing this that I want to do this practice again and to do that I need to get started soon! It’s a really good exercise! I definitely struggle with being present in the here and now, even more with pushing myself out of my comfort zone. I’ll be trying this for at least a week or so soon because it’s straight up my self-growth alley! It reminded me so much about how Western medicine is finally realizing the way that trauma plays out as a physical, somatic symptom in our bodies, not just as a mental function of memory. Thanks for providing such a powerful, resonant description. I am sure I will come back to it in the future, and the Hanged One is now a richer card for me. Awesome Alice! This resonance makes sense. As a survivor, I’ve had ample oppurtunities to explore this somatic connection. And as a writer and tarot reader I notice I keep coming back to it. Oh Siobhan!! I love this one so much. The Hanged Man is not a card I often get and it makes me kind of sad that I don’t, lol. Especially after reading this! But I definitely going to try that Head, Hands, Feet practice. I have honestly never thought about in their day to day lives. (shame on me!) and I can’t wait to see what comes of it. Glad you liked this Ashley! You can pull that Hanged One anytime you want if you pull it face up. =D If you’re willing to share, I’d love to know how the practice goes! OPEN THREAD | Join our last ever community card pull!